It is with much sadness that I advise the passing of retired Captain John Leonard Saull on August 10, 2006 in Ottawa, Ontario. Sgt. Len Saull was one of 43 Canadian Military Staff Clerks going to England to set up Canadian Military H.Q. in London in 1941. Of the 145 Canadian troops who boarded the Nerissa only 35 survived. Len was one of the10 CMSC survivors. 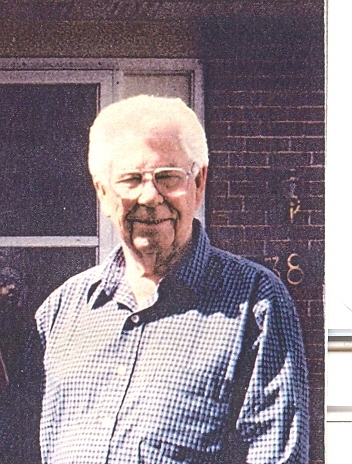 Len made the Canadian Army his career and retired with the rank of Captain in the RCASC. 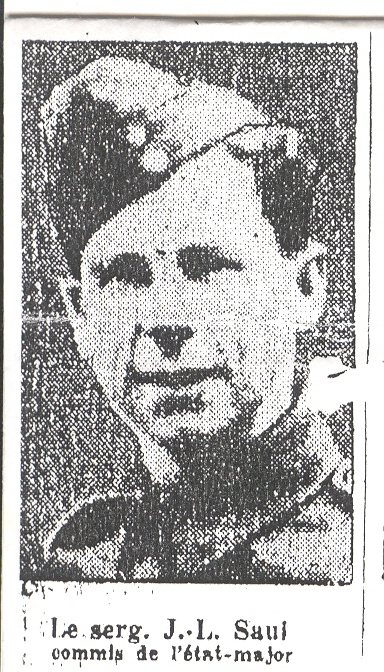 He spent the war years in England where he met and married his wife Eileen. Eileen came to Canada as a war bride. They were married for 64 years and had 3 children Beverley, Michael, and John, 7 grandchildren and 5 great-granchildren. 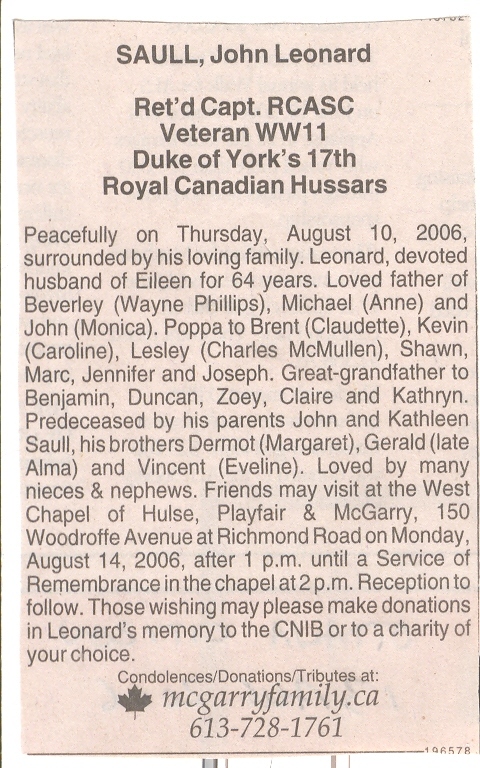 I had the privilege of meeting Len and Eileen in Kanata in 2003. Len was a tremendous help in providing information about the Nerissa and in particular the Canadian Army Court of Inquiry.